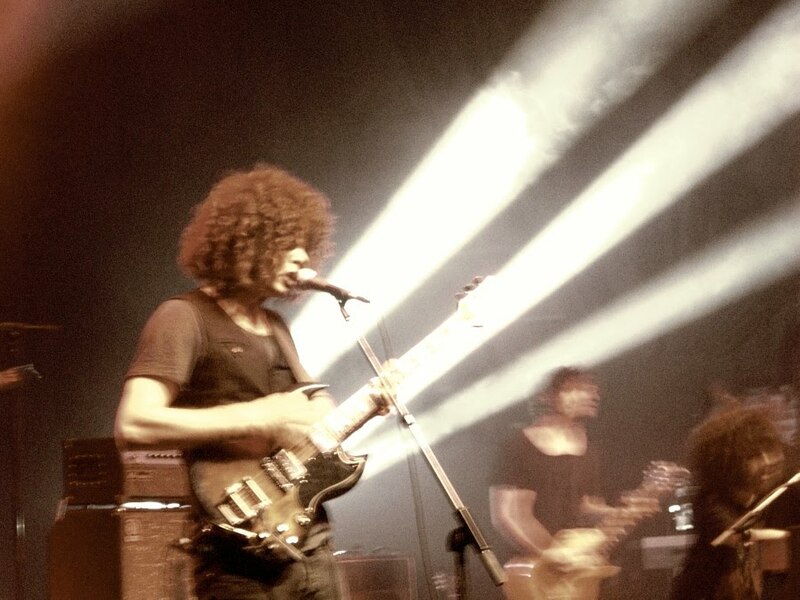 Elvis Enthusiasts Unite: Wolfmother, for your pleasure. Should you get the hankering to hear how the Wolfmother show went the other night, my ears stopped ringing for me long enough to finally process it. I grabbed the little brother and we enjoyed it plenty. DJ even got his share of beads on account of flashing his chest for the band. Totally serious. Click HERE for a review, some photos, a pretty awesome video and a chance to win ... one MILLION dollars! I'm glad it was awesome. Hopefully just as awesome as his hair is in this picture.